Benjamin Medrano has posted recipes for the meals cooked by the main character of his superhero novel Born a Queen, which I think is a super cool idea (pun intended). Hello Giggles has an excellent interview entitled “Sarah Kuhn’s superhero books are a beacon for women of color seeking community” that’s worth a read. SuperheroNovels reviewed At the Table of Wolves by Kay Kenyon, a cool-sounding book about a woman with unique powers in the days leading up to WWII. Renegades by Marissa Meyer came out last week, which I’m excited about because I adored her series The Lunar Chronicles. 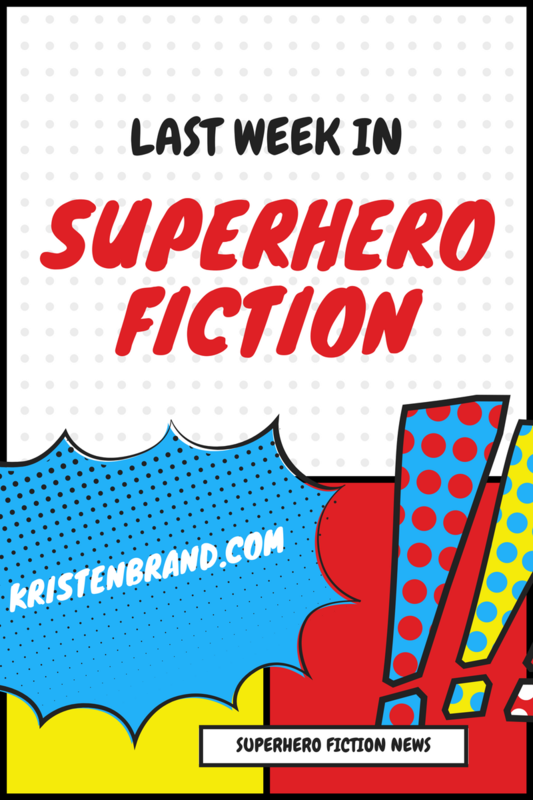 Her blog features her book tour schedule, cool character pages, and a neat little quiz to find out your superpower. I got water powers, which I’m perfectly happy with. I was offline most of last week, so any news I missed? Got any recommended superhero novels? Let me know in the comments!